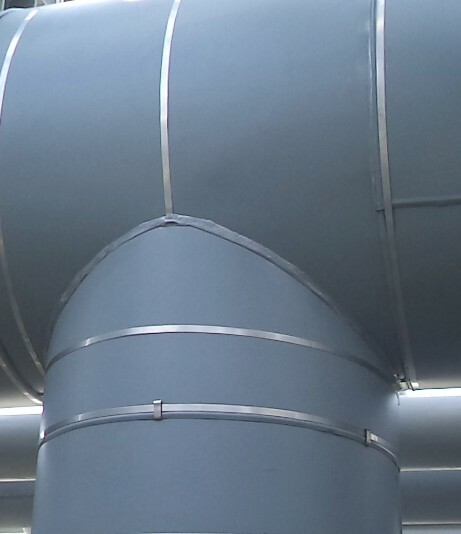 The incredible success of COOLMET®, the new PVDF paint system co-developed by BS Stainless and Sheffield Hallam University, has driven remarkable change and evolution across industry in the past year, particularly when used as the outer coating for vital LNG pipelines around the world. We continue to forge further powerful partnerships and are now working with DuPont™ to produce the latest addition to our impressive portfolio of metal jacketing solutions. COOLMET® enhances the effectiveness of LNG pipeline function by effectively reflecting heat away from the sensitive system while dramatically enhancing the corrosion resistance of the pipe. A reduction in maintenance leads to added cost savings and the life-cycle and productivity of the entire plant is significantly increased. Though extremely effective, sometimes an even tougher solution is required and we are proud to introduce TEDMET® to our vast product range. Some engineering houses and companies require coatings to be of even more durable quality than COOLMET® - a feat that is difficult to achieve! The answer lies in Tedlar®, a versatile PVF (polyvinyl fluoride film) created by DuPont™ and known for its continued optimal performance even in harsh environments: Tedlar® is often used in the photovoltaic cell manufacturing and aerospace industries though its many qualities have seen it selected for an ever-growing number of applications as the technology has been adapted and transferred. Our unique partnership with DuPont™ has resulted in TEDMET® - Tedlar®-coated stainless steel, aluminium or other metal for use in thermal insulation projects. The innovative, cost- and labour-saving metal jacketing solution can be combined with a moisture barrier (DRYMET®) or acoustic barrier (SOUNDMET®) to perfectly suit each bespoke application. BS Stainless are the only company in the world to offer a full complement of metal jacketing systems that can be held securely together using products from our own Bandfix® family of stainless steel banding products, tools and accessories - more info on Bandfix® here. To get the lowdown on TEDMET®, please give our technical team a call. We look forward to bringing you news updates and case studies of how and where our new product is being used around the world - subscribe to our newsletter and never miss an update from BS Stainless again!